Eggs have been vilified for years as the poster child for artery clogging foods; but further research into the role of dietary cholesterol and heart disease shows that for most people the two are not linked. 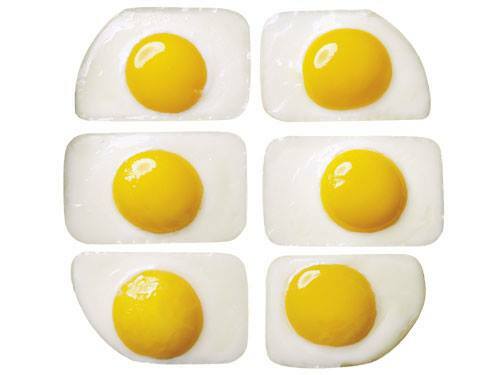 Eggs have since returned to the spotlight as a health food; but they are also a serious muscle building food. The cholesterol found in the yolk of eggs serves at the scaffolding for steroid hormones and the ½ a gram of leucine per egg is like throwing gasoline on your muscle building fire.